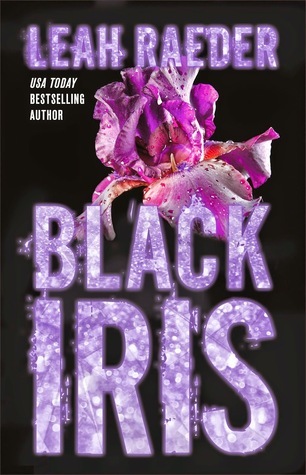 I don’t think I can adequately begin to express just how important of a book Black Iris is. I attend an extremely liberal, accepting college but, even then, this novel made me feel less alone and more comfortable in my own skin—and that’s no small feat. Black Iris is a revenge story, one that I often found difficult to read, but Raeder’s prose is pure magic and it is impossible to stay away from this book for long. While Unteachable was a clear-cut forbidden romance, filled with emotion and romance, Black Iris is its darker, more mysterious cousin. Raeder crafts this novel in such a way that timelines converge, split apart, and shift dramatically. It’s easy to think you know what’s happening or what the end result is or who the victim and perpetrator really are—but, truly, you’ve simply been kept in the dark until the final, all-too-unpredictable reveal. It’s a brilliant feat of writing, this combination of prose and plot, and when you add Raeder’s cutthroat emotion—the kind that seeps into your skin and deep into the pits of your stomach—it is evident that Black Iris is different. It is special. In all honesty, I do not love this book. I don’t think I could ever read it again—a strange combination of hitting too close to home and not too close at all—but that does not negate the fact that I thoroughly enjoyed the experience of it. More than anything else, I am grateful to Raeder for writing about sexual fluidity; for creating characters who do not fit in any boxes but still manage to find happiness. It is important for readers to be able to pick up a book and find characters they identify with—sexually, and personality-wise. With Unteachable Raeder already made strides in writing an unlikable heroine who, somehow, we manage to root for. With Black Iris, the lines are even more blurred. I do not know if I always rooted for this heroine, but I always respected and supported her decision; I always accepted who she was and her bravery in reaching that place of self-confidence. Black Iris is best read blind. I hesitate to discuss the plot or the characters or anything, really, with the exception of my feelings. And, oh my, did I feel. I fell for the wrong characters, I rooted for the morally corrupt, I switched sides. There is nothing I love more than a novel that inspires such a wide range of emotion and with Black Iris, that is precisely what you are guaranteed. Leah Raeder, thank you for having the courage to write such an important, meaningful novel. I appreciate your guts and, in particular, you sharing your story in the acknowledgements section. It means more than you can know, perhaps. 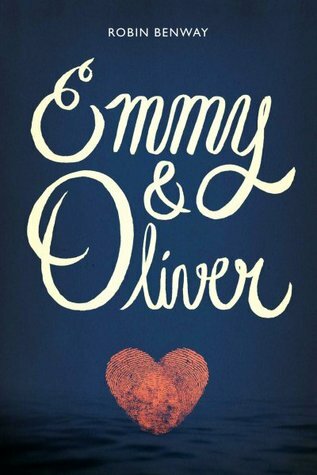 Emmy & Oliver is the type of best friend romance I would normally be clamoring head-over-heels for...only, it's a liiitle more complex than that. Emmy and Oliver are not only neighbors, they're best friends. They've grown up alongside one another and for the first seven years of their life, they have shared everything, including their birthdays. When Oliver's father arrives to pick him up after school one Friday afternoon, no one thinks much of it. After all, Oliver spends every weekend with his father. When he doesn't come back to school on Monday, however, that's when Emmy starts worrying. When he doesn't come back for ten years, it's a tragedy. Benway writes in a manner that makes even the darkest of subjects accessible and her trademark humor, combined with the easy sarcastic dialogue she imbibes within her characters, makes her novels fly by. 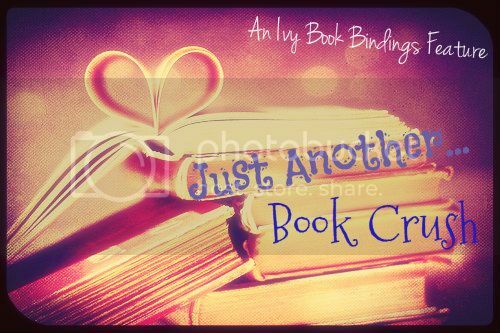 I just can't put one of her books down and Emmy & Oliver, with an older cast on the cusp of transitioning into college, brings forth a variety of themes and concepts that I love to see in YA. Benway explores the idea of freedom in college, not to mention the harsh reality of leaving behind your high school friends, with such aplomb that I hope she returns to this older YA age group and explores more of those ideas in greater depth. Having read her entire backlist at this point, I cannot wait to see what she has up her sleeve next (I'm keeping my fingers crossed for another Also Known As novel). Whatever it is, though, it'll be worth the wait. 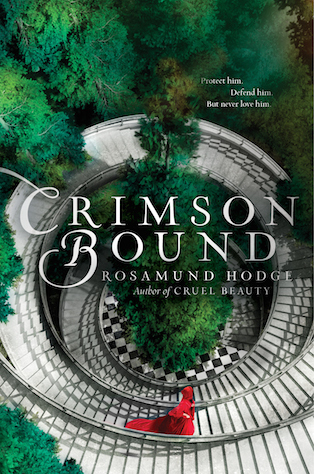 Today on the blog I am thrilled to be re-welcoming Rosamund Hodge back to discuss her sophomore novel, Crimson Bound, which I actually found to be even better than her debut, Cruel Beauty, which I loved. Hodge has a talent--and the courage--to write unlikable female characters, ones who don't always make the moral of decisions. I am head-over-heels in love with her blog post today and I hope you all will be too! 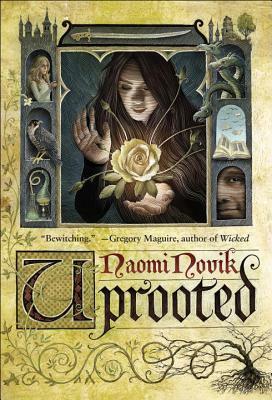 When Rachelle was fifteen she was good—apprenticed to her aunt and in training to protect her village from dark magic. But she was also reckless— straying from the forest path in search of a way to free her world from the threat of eternal darkness. After an illicit meeting goes dreadfully wrong, Rachelle is forced to make a terrible choice that binds her to the very evil she had hoped to defeat. Three years later, Rachelle has given her life to serving the realm, fighting deadly creatures in an effort to atone. When the king orders her to guard his son Armand—the man she hates most—Rachelle forces Armand to help her find the legendary sword that might save their world. As the two become unexpected allies, they uncover far-reaching conspiracies, hidden magic, and a love that may be their undoing. In a palace built on unbelievable wealth and dangerous secrets, can Rachelle discover the truth and stop the fall of endless night? Inspired by the classic fairy tale Little Red Riding Hood, Crimson Bound is an exhilarating tale of darkness, love, and redemption. When you have a book about to be published, you start thinking of all the reasons that people might not like it. You ponder all the points in the book where a reader might demand, "But why did you do that?" And you try to come up with a few good answers. At least, I do. So I've been conscious for a long time that there are a lot of similarities between Rachelle, the heroine of Crimson Bound, and Nyx, the heroine of Cruel Beauty. They both struggle with guilt and self-hatred. They both think that they're unworthy of love. And they both use a lot of anger to cope with that. Why did I write a second angry, guilty, self-hating heroine? Because I wasn't done yet. I like writing about guilt and self-hatred because . . . well, for one thing, it brings the DRAMA like little else. But I also like writing about it because it's a way to get at some fundamental human issues. Who am I? Who should I be? How can I be loved? Those are questions that we all face, and those are the questions at stake when you're writing a character who's dealing with guilt. And I wrote two guilty heroines because I wanted to write two different sets of answers to those questions. If I had to summarize Nyx's story, it might be: "You're not as bad as you think you are." Nyx hates herself because she's full of anger and resentment--at her father, for promising her to a demon, at her sister, for escaping that fate, and really at the whole world, for letting her be in such an awful position. Over the course of the novel, she learns to be kinder to the people around her--but she also learns to accept her own anger, to stop hating herself for it, and sometimes to embrace it. Because the reason that Rachelle hates herself? The evil, supernatural powers of the Great Forest offered her a choice: kill an innocent, or die. She killed and lived. And there were a whole bunch of mitigating circumstances--she didn't accept that choice without a fight--but at the end of the day, somebody was dead. She did it. I wrote about Rachelle because I wanted to write a story about the question, "What if you are as bad as you think you are?" You hear a lot about needing to "forgive yourself"--in novels, TV, and inspirational blog posts. But when there's an example of "forgiving yourself," usually it's all about realizing that what you did wasn't so bad. Or that you were trying your best. Or that you really didn't harm anyone in the end. Or that at least you're different now, hooray, so let's just wave our hands and ignore what happened earlier. And quite often, that's exactly what you need. I know that a lot of the time when I start wallowing in self-hatred, it's over something absolutely inconsequential, where I did try my best and anyway nobody will ever know the difference. Sometimes you really just need to realize that you're not as bad as you think you are. But not always. Sometimes you really have done something awful. And I used to struggle a lot during those times, because I felt like forgiving myself would be saying that what I had done was okay. It would be denying my own principles of right and wrong, and I loved my principles far more than I loved myself, so I figured it was just time to board the guilt train. If you had asked me, of course I would have said that forgiveness didn't mean making excuses; I would have told you that in fact, forgiveness can only exist when somebody has really done wrong. I would have sworn that anything could be forgiven. I would have said that, and thought that, and defended that to the death. But I often had hard time believing it. So I wrote Rachelle. At the start of Crimson Bound, she's in a similar position. She's done something wrong, and she hates herself, and she clings to that self-hatred because it is the only thing she has left. The Great Forest took away her dreams of courage and heroism; it took her family and friends; it took away her innocence and her sense of self. As long as she hates herself for being what the Forest made her, she's still a little bit free of it. Then I gave her one last chance to save the world from the power of the Great Forest. I gave her a few people who were willing to believe in her. And I made myself a promise: no matter what happened on her journey, she would get to keep her principles. I would never, ever make her say, "That wasn't so bad," as the price for finding peace. I think it ended up making a pretty interesting story. Thanks for stopping by, Rosamund! I love, love, love this post--it exemplifies so many of the ideals I want to see in more YA heroines, which is why Rosamund Hodge is one of my favorite authors, even after just two books! What did you think?